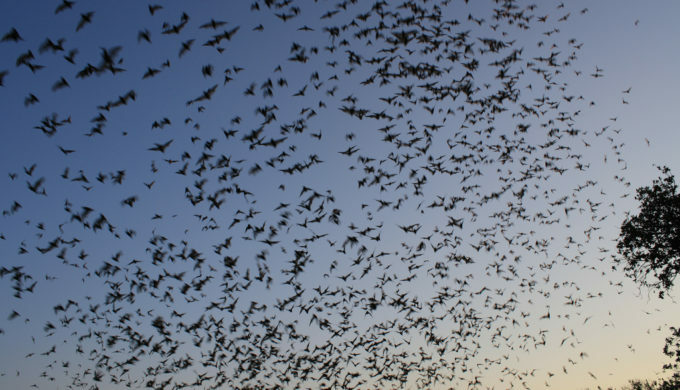 According to Bats of Texas, the Lone Star State presently hosts 33 different bat species. The best times to observe this bevy of beauties are on summer evenings when they venture out to feed on insects. 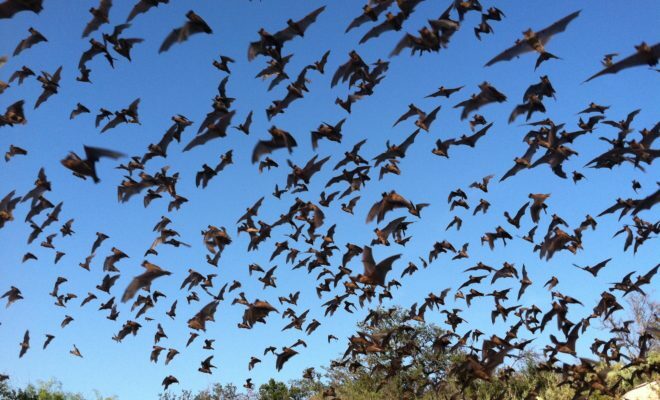 Locals and tourists alike can find over a dozen organized bat-watching tours and websites to learn more about these crepuscular critters throughout the state, but here in the Hill Country, we have a few of the more famed of the colonies. 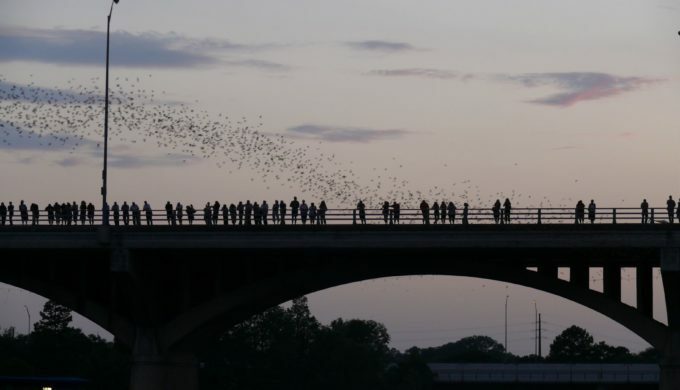 The Mexican free-tailed bats that make the Congress Avenue Bridge in Austin their home are most actively in the area from March through November. Eating millions of mosquitos (thank heavens) among the other insects they devour, they emerge at dusk from beneath the bridge in streams that look like smoke, and onlookers can find areas in the vicinity from which to safely witness their flights. The Austin-American Statesman sponsors a Bat Observation Area on the southeast side of the bridge, as well as there being a number of boat tours that bring you near the excitement. 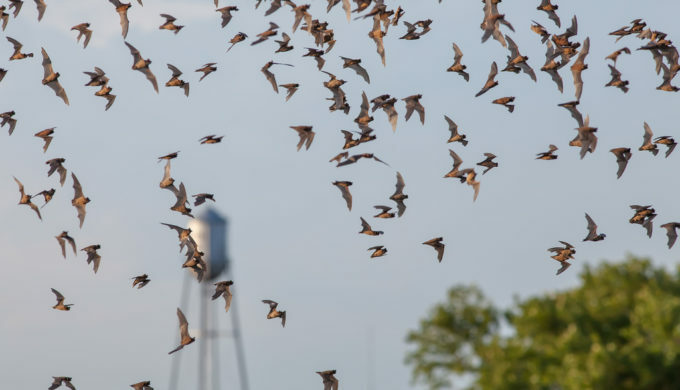 Hosting close to three million Mexican free-tailed bats and 3,000 cave myotis bats in the summer months, the 920-foot, abandoned Fredericksburg & Northern Railroad Tunnel situated at the Old Tunnel Wildlife Management Area can be found part-way between Fredericksburg and Comfort. The Texas Parks and Wildlife Department manages the site through which naturalists provide interpretive tours to observe these winged creatures from June through October. To minimize disruption to the bats and to watch one of their amazing emergences, visit the tunnel’s website and schedule an upcoming viewing. Inhabiting the Eckert James River Bat Cave Preserve close to Mason, in the Texas Hill Country, over four million Mexican free-tailed bats as well as a much smaller grouping of cave myotis bats have become the focal point for viewing opportunities from mid-May through to October. The preserve provides the tours at a cost of $5 for adults, with children five years of age and younger allowed free access. A schedule can be found on their website, and you can also occasionally coordinate a dawn viewing for their return from their nightly feeding. It’s a unique opportunity to view a wondrous thing here in the Texas Hill Country, even if you have a healthy respect (translation: fear) of these creatures. Each location can give you more detail on what their purpose is and why they’re here – because it’s not to harm you in the least. ← Previous Story Buen Camino: Pilgrimage or Pub Crawl?